A library board member said the library's operation isn't sustainable without a significant change in the nonprofit organization's financial situation. 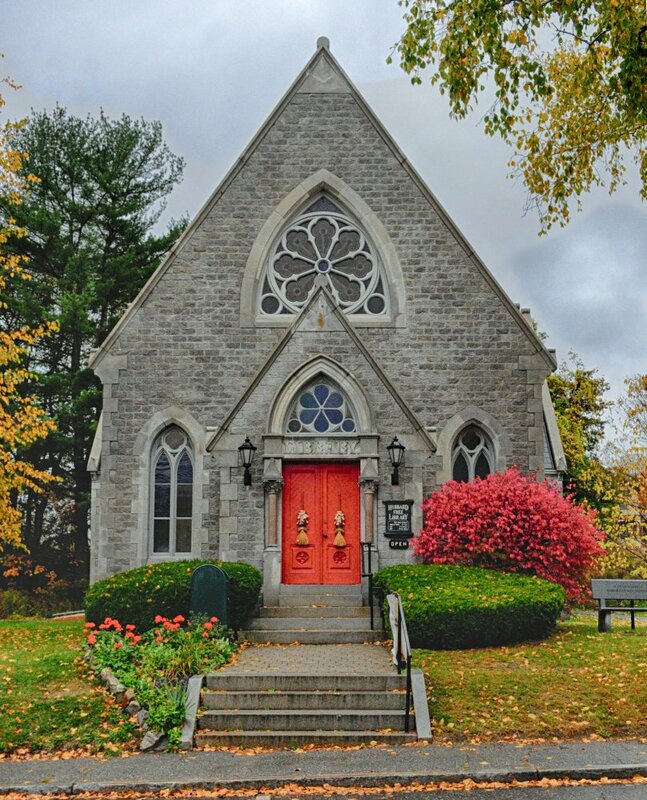 HALLOWELL — The board of trustees of Hubbard Free Library has begun an annual fund drive, but unlike in years past, the goal for this drive is the first step in improving an unsustainable business model. 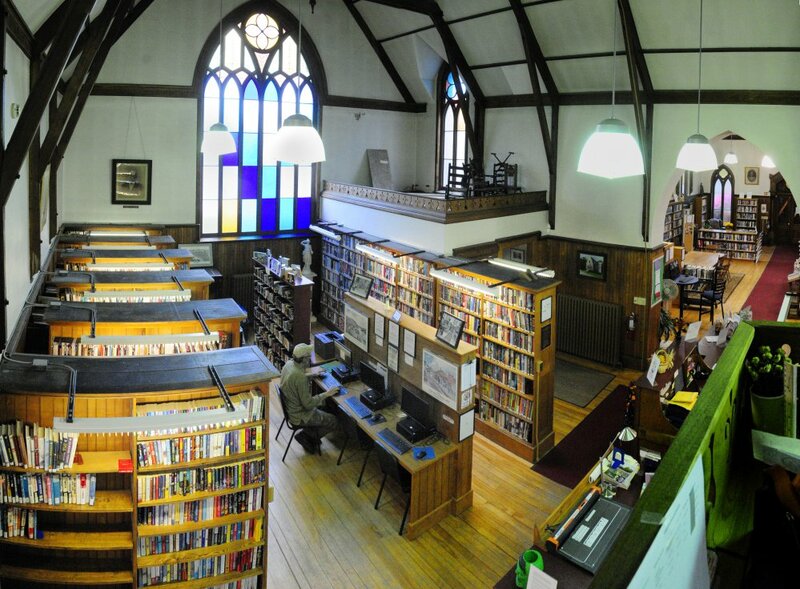 The nonprofit organization that runs the library, which was built in 1880 and is the oldest library building in Maine that still serves it original purpose, completed a seven-year capital campaign in 2014 and began thinking of ways to make the library’s day-to-day operations more efficient and sustainable. After raising around $450,000 for the first phase of the campaign, which included a new slate roof, two new boilers and repairs to the building’s concrete exterior, contributions and donations to the nonprofit’s general fund have decreased steadily. Dyer said the annual cost of running the library, including paying its five part-time staffers, is around $130,000. The city of Hallowell contributes $27,000 per year, and the remaining money comes from the annual fund and the library’s investment fund, or endowment, which Dyer said is modest. Ken Young, who recently joined the library board, said the current model is not sustainable and if something doesn’t change, the library won’t be able to continue operating as it has in the past. “The take from the annual fund has declined, and there’s a smaller number of people giving less money; and as a consequence, we don’t have enough money,” Young said. The library used to be open for longer hours or on more days throughout the week. Last summer, it was closed on Mondays. Young said the plan was for the library to re-open on Mondays once school started, but it has become a permanent cost-cutting measure. According to financial records, the nonprofit organization had $1,043,078 in assets at the end of 2016, which was down $59,049 from the previous year. Since the end of 2014, the organization has lost $89,211 in assets. Dyer said there are three reasons for the decline in contributions: people giving to the capital campaign thinking no other money was needed, people thinking the city of Hallowell would take care of any problem with library funding, and people assuming the library’s endowment is larger than it is. She also said the library staff and board need to do a better job of communicating with Hallowell residents about the library’s needs and its goals for the future. She said she knows of many people who didn’t contribute because they didn’t know the library needed money. In order to get the word out about the annual fund drive, Dyer said, postcards will be mailed to every residence in Hallowell, letters sent to former donors and a small group of potential new donors and an email blast sent to a list of more than 500 addresses. Dyer and Young are planning to hold a community forum early next year. Dyer said she has had several productive meetings with the Hallowell Finance Committee, and she said she ultimately expects to make a plea to the City Council, but there are things she wants the board to do first. Across Maine, local libraries are funded in a wide variety of ways. Augusta and Gardiner’s libraries are city-funded and city-managed. Some, such as the library in Arundel, are privately funded. Others operate on a combination of private and public funding. 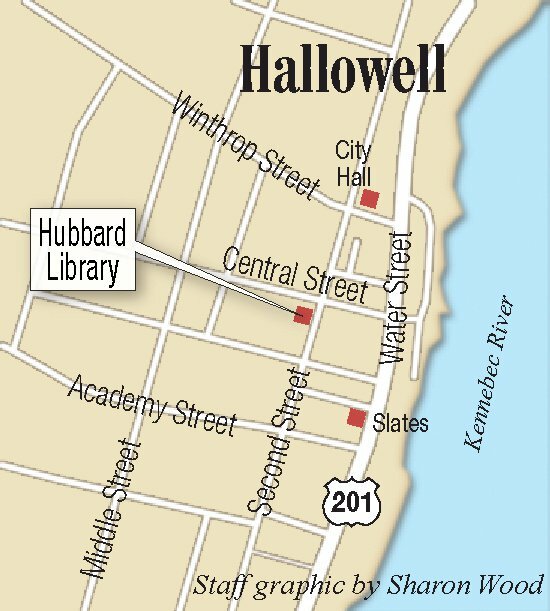 Hallowell’s contribution for the last several years has been the same, and Young said it isn’t even enough to cover revenue losses incurred when Farmingdale and Chelsea stopped paying the Hubbard to allow residents of those towns to use the library. City Manager Nate Rudy said the city has provided funding for the library because it recognizes its value as a vibrant community center and a contributing curator for some of Hallowell’s most important historic documents and artifacts. “I’m sure any formal proposals or changes in funding requests that Hubbard intends to make to the City Council would be well received and given due consideration,” Rudy said via text message. As part of the fund drive, Dyer and Young are recruiting additional members to join the group’s board. Millennials, Young said, use libraries more than any other group, so it’s important that generation is involved in planning the Hubbard’s future. “Our hope is that we can get the group that uses the library most to increase its support of the library and spread the word among that community,” Young said.